Accountability – if I write my goals down on the pages of this blog then I’m going to have to try and do it! Nosiness – I’m hoping this post will inspire other bloggers to write something similar and I’m just being really nosy here and would love to see what others have got up their sleeves! A blogger competition to win a Golden Ticket to The Bloggers’ Retreat – thirdly, and most importantly, this post is part of a bigger project I’m working on with the lovely ladies behind Twins that Travel. The Bloggers’ Retreat will be 3 days of workshops and sessions all about blogging, learning the tricks of the trade and honing your blogging skills. 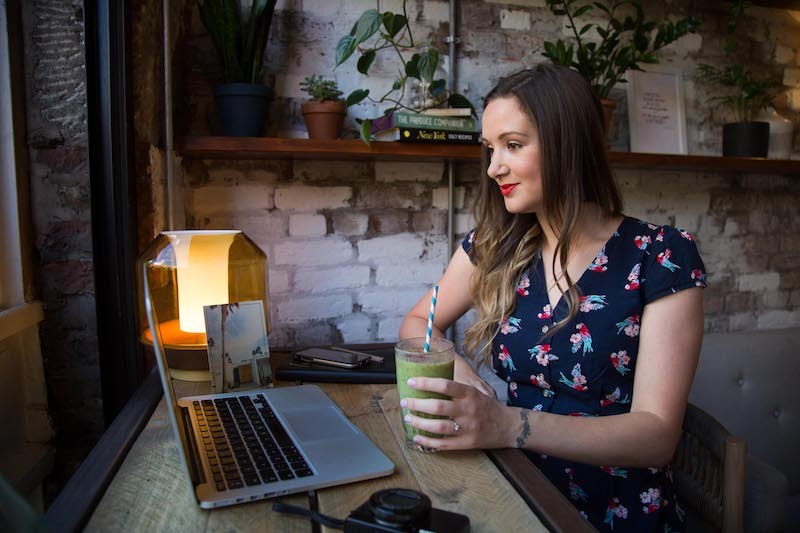 We’re going to be sharing everything we know about turning your blog into a business and we won’t be holding back on our industry knowledge, experiences and tips. Update: This competition is now over and our winner is Anna from Would be Traveller. Congratulations Anna! Tickets for the retreat are now on sale! To celebrate the launch of The Bloggers’ Retreat, we’re giving away one spot at the retreat for a lucky blogger to win a Golden Ticket. To enter the competition, all you need to do is share a blog post about your blogging goals for 2018 and then share it on Twitter or Instagram using the hashtag #TheBloggersRetreat. Maybe you want to improve your photography, make some videos, work with some brands you love, increase your pageviews or earn more money. 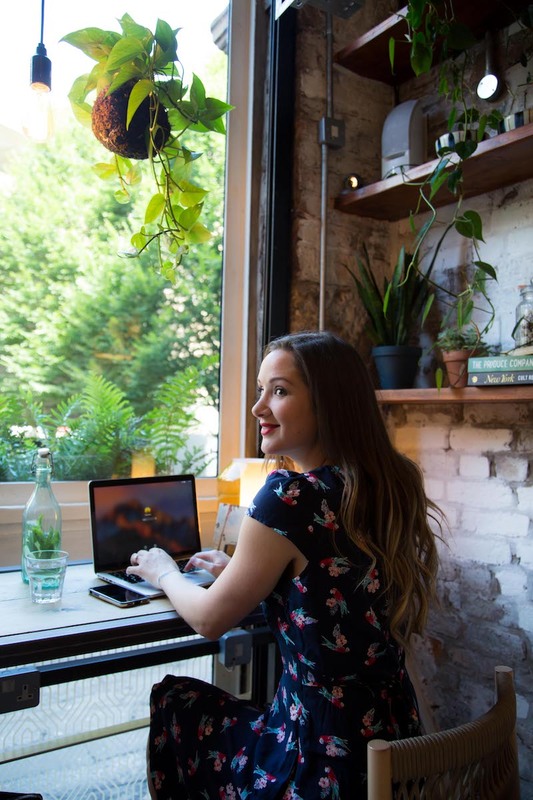 Maybe you want to quit your job and blog full time or perhaps you’re just starting out and want to get noticed within the blogosphere. Whatever your blogging goals are for 2018, we want to hear them and we want to help you achieve them! Just share your blog post using #TheBloggersRetreat on social media and you’ll be entered into the competition. When I think about the blogs I enjoy reading it’s always the personal posts. I don’t necessarily mean the ones where bloggers bare their souls to the world, I mean blog posts that give me an insight into a person’s life. I read blogs to read about people so I want to create more personal posts on The Travel Hack. I love to travel but my whole life doesn’t revolve around travel like it did a few years ago and I’m going to be reflecting this in the blog. The Travel Hack has always been about affordable luxury travel but I’d like to incorporate a bit more affordable luxury as a lifestyle into the blog. So a bit more about fashion, food, fitness and what I get up to when I’m not travelling. Whenever I ask you guys what you’d like to see more of on The Travel Hack, you always tell me it’s weekend breaks. So 2018 is going to be the year of the weekender! Each month I’m hoping to really focus on a specific destination to provide an insightful guide that’s helpful and inspirational. The very best thing about blogging is that a lot of my income is passive. If you’ve never heard the phrase ‘passive income’ before it’s about to change your life. Basically, passive income is where you earn money without doing much work! You have to do the hard work to set up your passive income streams, but once they’re set up you can almost sit back and let the money trickle in. It really is just that, a teeny, tiny trickle but if you have 1,000 tiny trickles….well it soon adds up. I want to turn my trickles into streams and maybe my streams will turn into rivers. And when I have a river…well who knows what I’ll do? Passive income is obviously awesome but it’s particularly awesome when you have kids. If something happens or one of the boys is ill, I know I can take a month off and not have to worry about money and that’s a really lovely feeling. It’s an absolute honour to be invited to work with my favourite brands on their current campaigns – but this kind of work is unpredictable and I’m often waiting for the opportunities to find me. This was fine before I had kids but unpredictability and children don’t exactly go hand in hand! When these projects do find me it often means rescheduling my whole life at the drop of a hat which is just something I can’t do. This year I want to create more of my own projects so I’m not so reliant on other people to keep me busy! I recently read this amazing guide to upping your Insta game by Carrie from Wish Wish Wish and it’s totally made me rethink Instagram stories. I haven’t done much with video recently because I’ve felt really confused about where is the best place to host videos. Should it be YouTube where it has the potential to reach so many people but is really really time consuming? Should it be Facebook where they get the most views? Should it be short videos for Instagram? Reading this post by Carrie has made me want to give Insta stories a proper go so watch this space! Now it’s over to you. What are your blogging goals for 2018? And if you’re interested in winning that Golden Ticket to The Bloggers’ Retreat, keep reading…. The Retreat will include tell-all sessions: advice and insights into how we grew our blogs from small WordPress sites, into profitable, self-sustaining and award-winning enterprises. And the best bit? You’ll be surrounded by new friends, also there to support your blogging journey. Each retreat will begin at 2pm and finish at midday on the day of departure. Keen to host the Retreat in a location providing real seclusion, warmth and luxury, we are thrilled to announce that The Bloggers’ Retreat will be run in collaboration with Unique Home Stays, at their phenomenal property: Boheme. 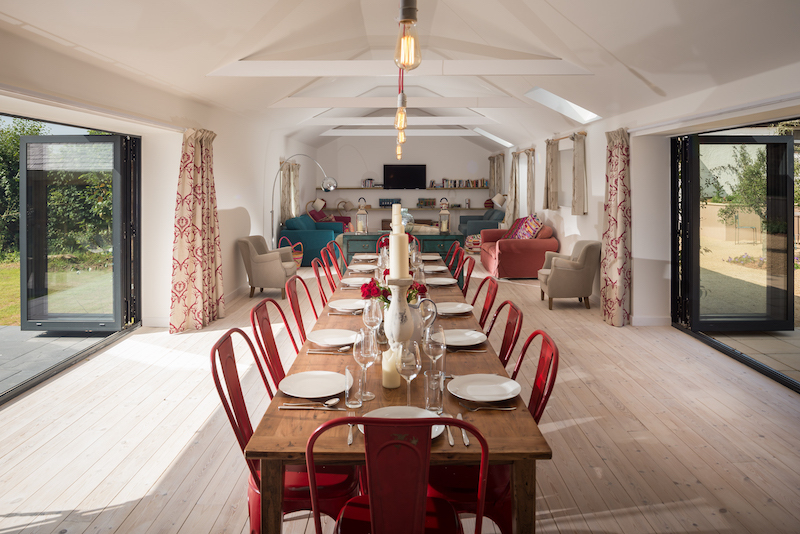 Nestled in rural Somerset, with views of the Quantack Hills, this beautiful barn is the ideal place to escape your normal routine, immerse yourself in your goals and objectives, and of course – relax. The heated indoor swimming pool and cinema room will (of course) also help your creative juices to flow! Each retreat will include nine workshops and access to 1:1 sessions with each of us, if you’d like an extra bit of support. Branding and why your blog needs it (really). 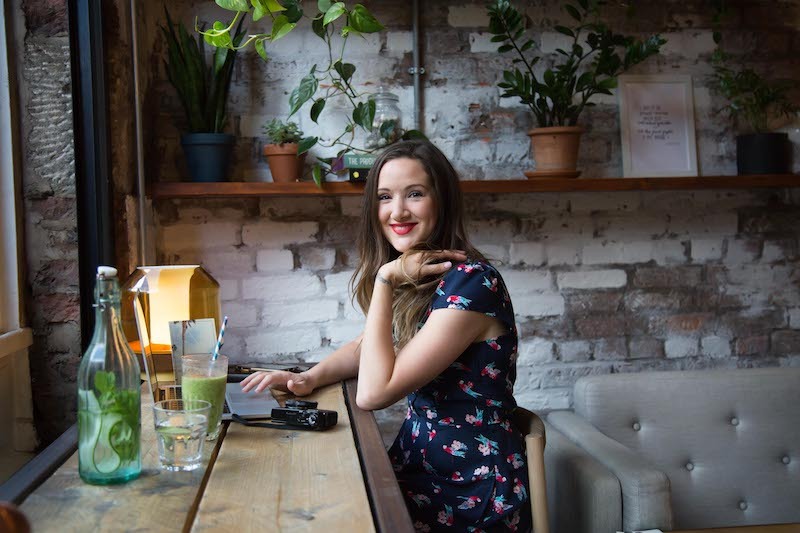 Throughout each workshop, we will share with you as much of our own experiences as possible; ensuring you are provided with the most honest insights into full-time blogging as possible. Alongside the workshops, we are also keen to provide you with hands-on and practical experience of certain elements of blogging. As such, we are therefore thrilled to announce that the Retreat will also run in collaboration with Visit England and Visit Somerset, who will be organising an incredible trip for all attendees. Not only will this be a fantastic opportunity to have some fun, but will provide us with the opportunity to guide you through how we write and review trips; alongside capturing blog and social media content that will not only encourage greater audience engagement, but will capture the eye of other brands. The cost per ticket for a two-night stay, including all workshops, excursions and meals is £550. We will have a payment plan whereby attendees can pay in 3 monthly instalments with no extra costs. 2 x further payments of £183.35, one month apart after the down payment date. Refunds on tickets will not be accepted, however The Bloggers’ Retreat will assist with helping you to re-sell your ticket if you are unable to attend. 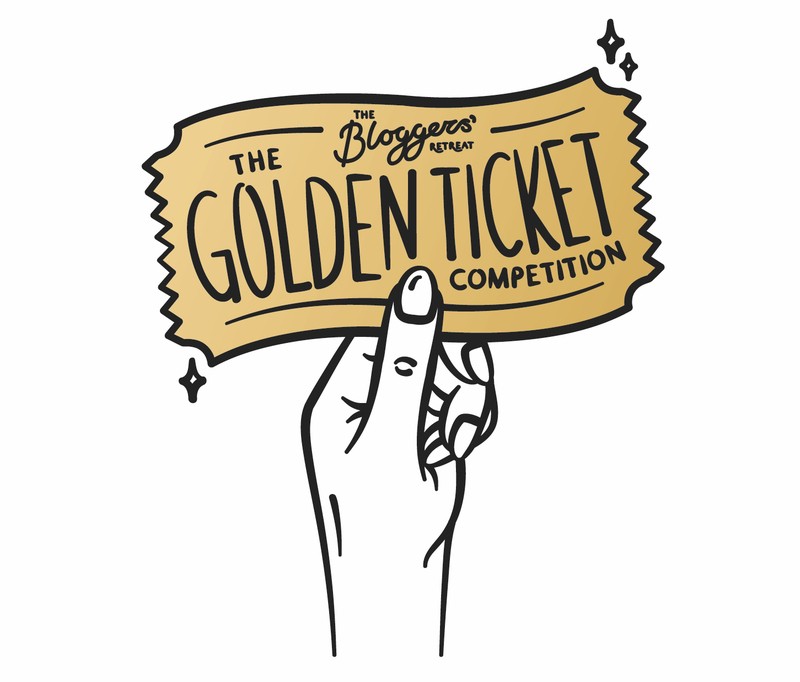 Before tickets for The Bloggers’ Retreat go on sale on Wednesday 17th January, we are offering one lucky winner the chance to attend the entire retreat – including two nights accommodation at Boheme – entirely for free: our very own golden ticket! The competition closes at midnight on Tuesday 16th January. We’ll notify the winner by Wednesday 17 and tickets will go on sale that day. We really cannot wait to meet you all in April at the retreats. 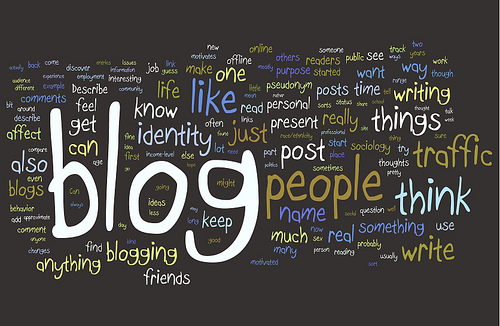 We know that they will not only be fun-filled and friendly, but will completely transform your blogging game. We can’t wait to share our secrets with you! If you’d like to keep up to date with The Bloggers’ Retreat, join us on Facebook where we’ll be posting all the latest news. I love the idea of the Bloggers Retreat, I wish I could do the dates!